Gaining a revelation of walking in Divine health and ministering healing to others allows us to effectively demonstrate God’s love and grace to others – it’s part of our covenant. Healing is the dinner bell for revival, and we get to be a part of it. We meet every Wednesday from 7:00 pm to 8:30 pm. Please visit the EVENTS PAGE to verify. The purpose of healing school is to train Healing is Here Now Prayer Ministers, to teach you how to live in divine health, how to learn God’s voice, and to expect God to use you to bring healing to others. Healing School meets Wednesdays at 7 pm in the Hospitality room. This class is open to anyone who wants to learn more about God’s plan for healing and how to minister healing. 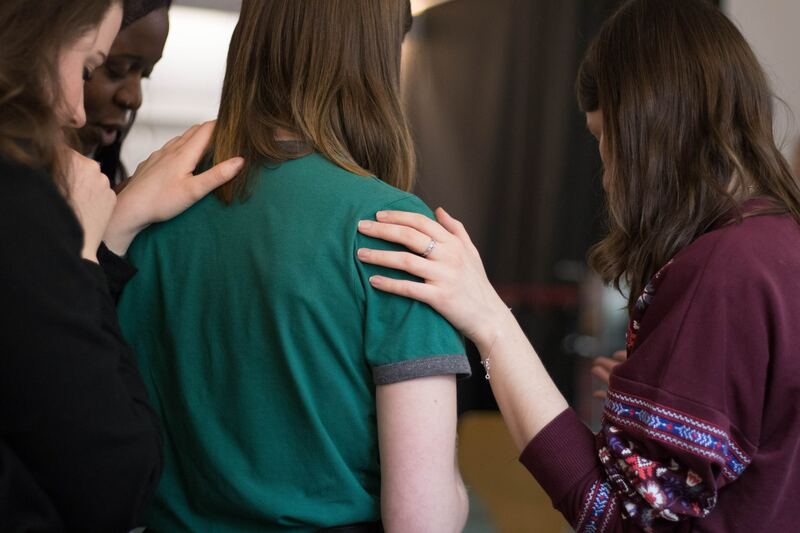 If you need prayer for healing, we have someone available following announcements on Sunday mornings in the Hospitality room and on Wednesdays at 7 pm in the sanctuary. Open to the public. Virgil was healed of diabetes, kidney failure, and continues to walk without braces and a cane. Watch his brief testimony now.